In summary, only 5% of the smoking population has switched to vaping, in part due to the fact that federal grants for research seems to be preponderantly awarded to those who wish to add to the “negative “bibliography of vaping and, egregiously vilify a good and enjoyable habit which, on balance, makes cigarette smoking a habit for fools and weak-kneed individuals who refuse to even consider a healthier change in theirs and their families’ and other citizen’s lives. Final note from the author: Vaping is an art, and if learned correctly it is a better, safer alternative than smoking the tar, carcinogens, and thousands of chemicals contained in cigarettes. Vaping is a hobby which allows the “hobbyist” the opportunity to “lead a whole new lifestyle!” Vaping is not a quick fix, it is a learned skill, and when applied correctly the highest level of vaping is often referred to as the “art of vape” because it is a beautiful, positive activity that was designed to save lives! 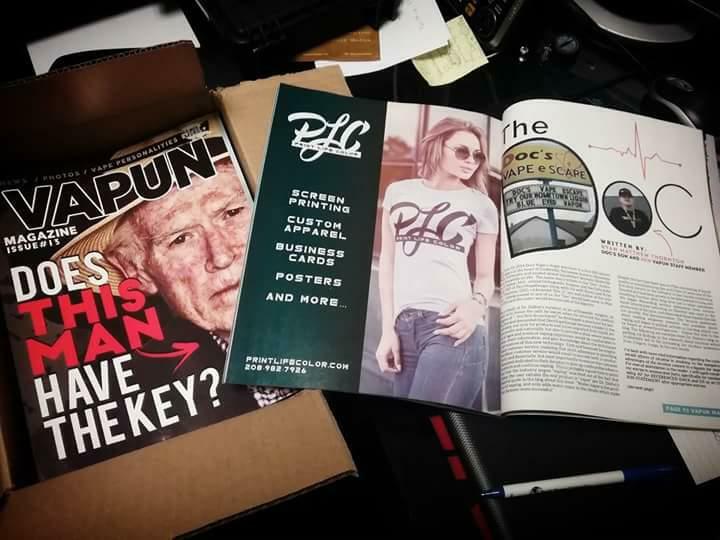 For more information about the medical literature and Dr. Dalton’s extensive recording of the facts available prior to his passing in May of 2016, please go to our website www.DocsVape.com and follow the link to the blog. **Anthony P. Dalton, M.D. obtained his Medical Degree from Creighton University Medical School in Omaha, Nebraska in 1975 and was Board Certified with the American Academy of Orthopaedic Surgeons, Board Certified with the American Board of Arthroscopic Surgery as well as the Arthroscopic Board of North America. In May of 2009 Dr. Dalton completed his Masters in Medical Management Degree from the University of Southern California’s Marshall School of Business, a degree offered to physicians exclusively, having been accepted to a Cohort of only 12 from a field of approximately 50 applicants. 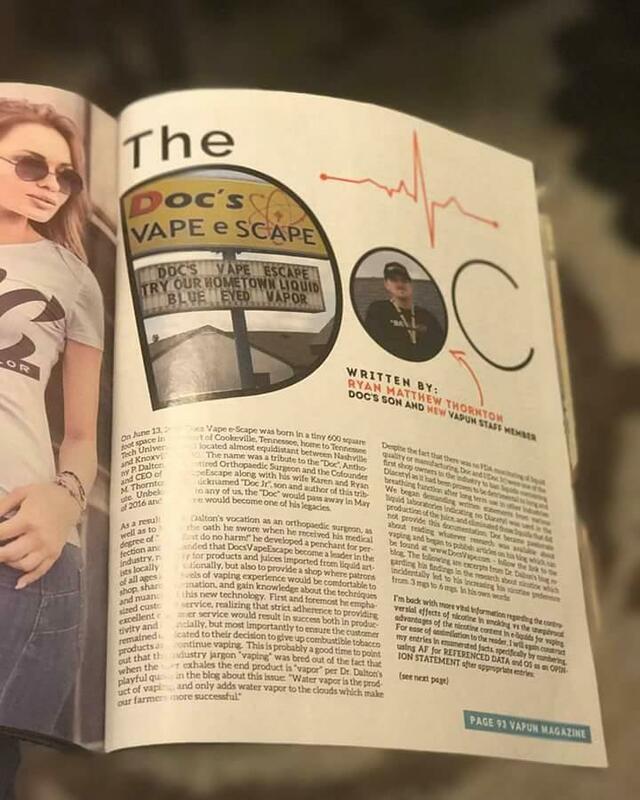 His wife Karen and their son Ryan reside in Cookeville, Tennessee and continue to operate DocsVapeEscape, along with General Manager Bryan Austin Phifer (“Shazam”) and Dakota Cox, finance major at the local university, utilizing the rigorous standards as originally implemented by the “Doc.” We are confident that Dr. Dalton’s brief participation in the world of vape and the insights and scientific evidence he presented on his blog will greatly influence the journey of the industry and perhaps assist those who endeavor to sway legislation accordingly.